If you’ve met me in person, you may never know that I have a scar on my back. I have a scar that you most likely wouldn’t see because I don’t see it either. I don’t see it, because it’s on my back and you don’t see it because of how I, (like most of us) dress – with my midriff covered. We all have scars- and most of them are hidden… but they tell us something profound about healing if we are willing to share. My scar is just right of the midline to my spine, between Lumber Disc# 3 and Lumbar Disc #4. There are 5 lumbar discs and they start at #1 on the top and #5 at the bottom. So you can see, from the image below, that my scar transects my midsection – and if we were to draw a straight line horizontally from back to front of my body, the scar would correlate to my navel on the front of my body. So who cares? Why would I even mention this, much less on father’s day? Because I have come to understand, integrate, and respect what this scar means to me, and in doing so, cultivate my ability to help others to heal at the deepest level of their being. I am not going to cite other authors or well-known people in drawing conclusions about the significance of this area of the body that transects the human midsection at the navel. Why? Because we do not need “experts” to tell us what this area means. 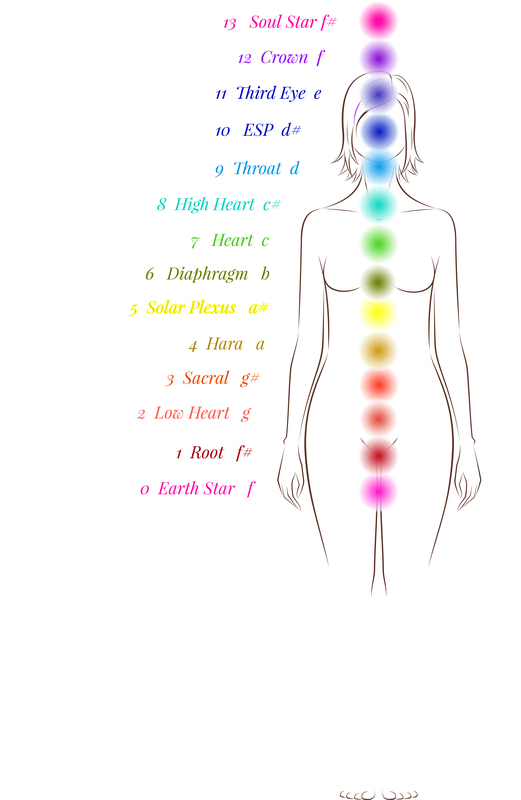 If we are on a conscious healing path of any kind, all we have to do is to close our eyes and FEEL into this area of our body that includes our navel in the front, and the spinal area of L3/L4 in the back. Take a moment to stop reading, breathe into this area, and feel right into where the line on the diagram below, the “lumbar curvature”, is pointing to. When we take a moment just to feel and breathe into this space, we will sense that we are connecting to our inner fortitude, and to our connection to life itself. Oriental traditions call this area the “ lower tan t’ien” (dantien) or the Sea of Qi. It is the area of the body where Essence and Spirit are stored, regenerated and/or stagnated. 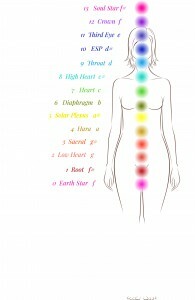 This is also the area of a “hidden” chakra, or energy center in the body. It is the gold chakra,also called the HARA chakra, between the yellow and orange centers. This energy center governs our sense of worthiness and ability to generate wealth. Indeed, as we were nourished by the umbilical connection from our mother in utero, this area of the body took in and nourished our own life force energy or QI. All our nourishment and nutrition came from our mother’s body into our fetus’ body, right at the L3/L4 area. And this area is related to our skeletal system that supports both flexibility and strength throughout life. When we tune into this area of our body, we can discern how we feel about the nature of life itself. Is life giving, nourishing and supportive? Or do we feel that life is disappointing, scarce and competitive? Another way to put this this is: are we supported in life, by life itself and hence by people around us, OR, are we in it alone, and other people are potentially detracting at best, or destructive at worst? My dad did NOT cause the scar on my back between L3/L4. At least not with a direct mechanism of injury. But he did, in fact, cut me off from my life source for a number of years. He told me that I was “bad” and that I was the CAUSE of the things that were happening to me as a young child. He cut me off from my truth at a very young age. And the interesting part, is that I am not waving the victim flag today (or any other day) by blaming him for what happened. Because, in order for him to do the things he did to me, something horrible had to have happened to him. I know that. And I also know that his behavior towards me was inexcusable on a human, father-to-daughter level. That being said, the scar on my back that resulted from the surgery to remove the tumor that grew there at age 13, has been a hidden, but motivating force in my own life to heal. And to heal on every level of my being… from the obvious (scar), to the less obvious (scared) and into the mystical (sacred). And the gift that I have cultivated through awareness of the deepest level of healing, has been to regain the sacred connection to my own life force, QI. In doing this deep personal work, I have had the privilege of being able to guide others on their unique healing pathways to become whole once again. I have been able to help others to reconnect to their inner source of energy, QI, to Life itself. feeling tired of life (burnout), an anxious feeling in the pit of the stomach, lack of direction and focus in general, pessimism, feeling that one can never do enough or “be” enough and difficulty with the emotions of happiness, joy and peace. In order to restore the full flow of Qi, there are specific connections that need to be made on physical, mental, emotional and spiritual levels. When this healing happens, our energy is restored and life is beautiful again. Truly! Our scars are no longer signs of our wounds, but they become proof of our strength. So, you will not see my scar when you meet me. But now, because I have shared this with you, we will both know that it is there as a reminder of the potential and the CHOICE to heal. It reminds me each day, of the courage and dignity that I possess deep within, knowing that I have regained my QI, my life force. The point of this article is to let you know that I KNOW, … at some level, we all have scars. « Mastering Your Energy: How your personal biofeld can contribute to a better world!